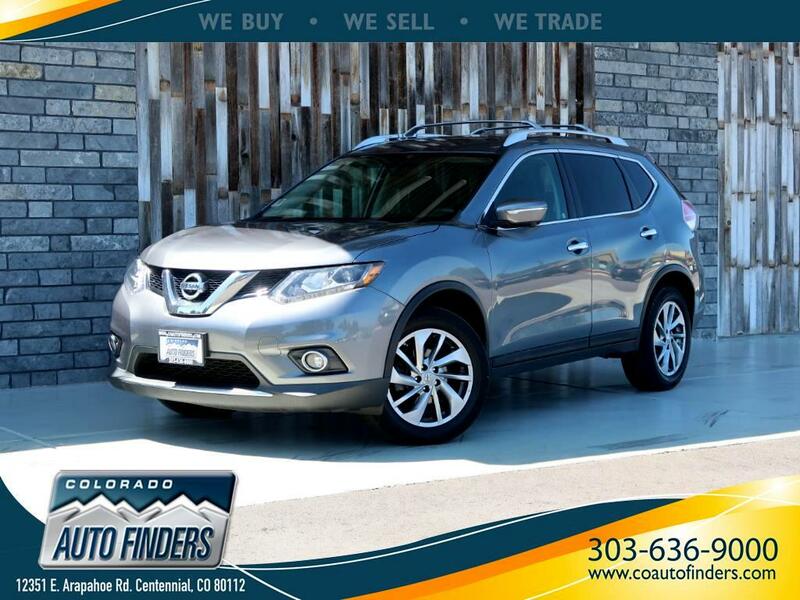 A 2015 Nissan Rogue SL is for sale in Centennial, CO. This 2015 Nissan Rogue SL is loaded with Blind Spot Monitor, Cross-Traffic Alert, Lane Departure Warning, Back-Up Camera, Keyless Start, Navigation System, Power Driver Seat, Premium Sound System, Siris/XM Satellite Radio Ready, Smart Device Integration and Panoramic Roof, Air-Conditioning and so Much more! Used cars for sale in Centennial CO.